Sometimes the things people write about Apple reveal more about themselves than they do about Apple. Or anything else for that matter. The Macalope will look at two pundits who must be discussing something else, because what they’re writing about Apple doesn’t make a lick of sense. And on the anniversary of Steve Jobs’s death, maybe it’s better to just say no. What motivates a company? Well, turns out it might be the same thing that motivates someone to write a diatribe about Apple. Virginia Heffernan gives us an object lesson in this principle, writing for Yahoo in “Machine Politics” (whatever that is): “Apple’s Map app non-apology: We’re sorry you feel that way” (tip o’ the antlers to Matthew Smith). Now, the Macalope knows what a non-apology looks like and this isn’t that. That’s a non-apology. In Cook’s actual apology, however, the “this” in third sentence is “we fell short on our commitment.” It’s not “your stupid feelings are so sensitive,” it’s something that Apple did. What he’s saying is “I’m sorry what we did caused you frustration.” It’s a little odd that Cook splitting it out into two sentences seems to have confused a former New York Times staff writer who has also worked at Harper’s, The New Yorker, and Slate and has a fricking Ph.D in English Literature from Harvard. And it’s really odd that it takes a comic drawing of a mythical man-Mac-antelope hybrid to explain it to her. But that seems to be where we are. 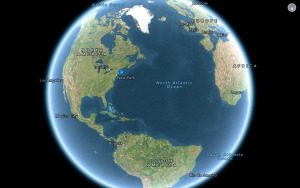 What bugged users about Apple Maps was not that it was imperfect. Really? That wasn’t it? Because the Macalope’s followed this rather closely—admittedly, maybe not as closely as someone who covers “Machine Politics”—and he’s pretty sure that’s it. Every app we use is imperfect. Indeed. Then why the uproar, doctor? Instead, what was maddening was that you, Apple, turned so petty, arrogant and spiteful that you tried to drive the renowned marvel that is Google Maps—which since 2005 has tested, refined and made stunningly useful its high-res aerial and satellite images of virtually the whole planet—off your dumb new operating system, iOS6. Wait. You’re actually saying that if the data in the Maps app had been perfect, people would have still been mad because of a business decision Apple made? Uh, no. Really, people don’t care where their map data comes from, as long as it’s good. The data Apple used wasn’t as good, and people expect better from Apple. And some people sit around waiting for Apple’s rare mistakes so they can make a big deal about it. That’s what this is all about. Stop. Stop. Google Maps is not free. It certainly isn’t free to Apple, and ads are a cost to users. Heffernan completely neglects to mention this anywhere in her extended hyperbolic rant, but one of the major reasons Apple couldn’t come to terms with Google was because Google wanted more user data. Apple didn’t want to give it to them because Apple’s customers are people who buy iPhones. Google wanted it because Google’s customers are advertisers. That’s not crazy Apple fanboi talk, that’s Business 101. …and jammed in your amateur dimestore one, only because you were feeling afraid and grasping, and in so doing you showed a sicko side of yourself (one we all suspect has always been there). You know Apple isn’t actually an individual, right? And certainly not a serial killer or pervert or whatever it is you’re implying? Because someone here’s got issues and the Macalope’s pretty sure it isn’t the giant corporation that’s being over-anthropomorphized. Wait, is this whole column a viral ad for Game of Thrones? Because that would make more sense. Her new book, Magic and Loss: The Pleasures of the Internet, will be published in early 2013. Oooh, there’s still time for the Macalope to make the section about how mean fanbois can be to people who are very reasonably pointing out how evil Apple is! Sorry, Virginia, you were saying something about companies making poor choices that reflect badly on themselves just to make money. Please continue. We should maybe be grateful, then, for incidents like this latest dustup over Apple Maps. It lays that greed and pettiness bare. Not bare enough, apparently, as we’re 500 words in here and you haven’t brought up even one of the very real business reasons on the part of both Apple and Google that led to this. There sure have been a lot of dramatic allusions to mythological warfare, though. Paging Mr. Godwin. Mr. Godwin to the white courtesy phone, please. …is irresistible. But we shouldn’t forget that Apple is everywhere—in our pockets, in our brains, all over our credit-card bills—for a reason. And it’s not because the company loves us. No. You’re right. It’s because they make awesome products. Yes, Apple is a company and companies don’t love. They don’t feel empathy or compassion. They don’t have hopes and dreams. Prep your fainting couches because Apple has once again outrageously—outrageously!— violated the sacred trust between giant computer company and its shrillest and most sensitive customers! VentureBeat’s John Koetsier keys “Dear Apple: Deleting your users’ apps without notification is rude and arrogant” (tip o’ the antlers to my glass eye). “But, Macalope,” you say. “A VentureBeat writer who comes off like an over-privileged, powdered-wig-wearing 18th-century monarch? Surely that cannot be right.” Oh, but it is. Yesterday, I pulled up the YouTube app on my recently updated iOS 6-sporting iPhone 4S. Or, I tried to. Oh, no! Has someone stolen Koetsier’s phone? Are his hands enfeebled by the condition known as “hot dog fingers”? Are aliens stealing our apps? Turns out that Apple killed the app silently in the process of upgrading my phone to iOS 6. NOOOOOOOO! Now how are we going to get Rickrolled while on the go?! And I, a long-time Apple user with multiple Apple products and a technology journalist who covers Apple, had missed that little factoid about the latest and greatest mobile Apple operating system. Which is apparently somehow Apple’s fault. It also turns out I’m not the only one who has done so. Ten thousand people have viewed this question on Apple’s forums about the missing YouTube app, and another thousand have viewed this one. So, 11,000 out of, what? 200 million? That’s certainly damning. But let’s stop and think about this for a moment. Imagine that this was your Mac (or your PC). Uh, OK. Sherlock ring a bell? Flash? Java? Apple (and Microsoft) remove things from their desktop operating systems all the time. Sounds like someone missed out on writing some whiny articles over the years. But, lo! The Macalope is looking at his iPhone running iOS 6 right now and … there’s a YouTube application on it! How could that be?! Because Google’s now making its own app. Which you can download from the App Store. No longer bundling an app for watching cat videos, however, is somehow rant-worthy. And, in an upgrade to a new version of the operating system, Apple or Microsoft deleted applications on your device. Instead of PhotoShop, you now get NewAwesomeImageEditor, and instead of Skype, you get … nothing. Well, if Apple or Microsoft deleted someone else’s application that you paid for and replaced it with their own software, that would certainly be an issue. That is, of course, not at all what happened here. You’d think someone who is a “long-time Apple user with multiple Apple products and a technology journalist who covers Apple” would know that the YouTube app was made by Apple and included for free. Koetsier may know that but it’s irrelevant because at VentureBeat, drama is king! Killing the YouTube app and replacing it with nothing is even more annoying [than replacing Google-powered Maps]. But it’s also insulting. And maybe even evil. Evil. He wrote that. Every once in a while the Macalope feels he needs to verify with his readers that, yes, these are actual quotes from the article he’s skewering because frequently they are so very unbelievable. A mobile phone is an intensely personal piece of technology. My phone is mine. I bought it, I pay for it, I use it, and I fill it with apps. And apparently you upgrade it without checking to see what the upgrade does. …no one seems to be talking about the arrogance that it takes to update an operating system and delete apps that users may have enjoyed, become accustomed to, and relied on. Possibly because we’re not so horribly put out by simply having to download the new YouTube app. Maybe it’s the Macalope but downloading seems a lot easier than devoting over 800 words to an angry rant about it. Consumers, incidentally, are speaking with their fingers right now: Google’s YouTube is the top free app by downloads in the app store today. Which, the Macalope is sure, Apple is positively devastated about. Are we so conditioned to having limited control over the iDevices we purchase that we just take this for granted? What part of “You chose to upgrade to iOS 6!” aren’t you understanding? Behavior like this may seem minor and inconsequential. And it’s just plain not right. Koetsier seems like the kind of guy who gets really upset when all-you-can-eat restaurants put a limit on how many shrimp you can take at one time. Note: I did ask Apple for comment on this story, but I have not yet received a reply. Oh, no, they did reply. You just couldn’t hear them rolling their eyes. Yesterday was the first anniversary of Steve Jobs’s death, but the Macalope doesn’t want to talk about Steve Jobs. Well, more accurately, he doesn’t want to write about Steve Jobs. He said his piece at the time and the art of pundit takedowns never felt so joyless and laborious. People wonder why the Macalope does what he does. It’s not just because he’s got a bad case of “Someone is wrong on the Internet!” He does have that, obviously, but he also feels that to say nothing is to let these pieces stand, as if they are reasonable. Forbes, for example, has a piece (no link because Forbes can eat the Macalope’s salt lick, if you know what he means) looking back at what the “media” had to say about Steve Jobs. What they don’t have is a piece looking back at what Forbes had to say, probably because it was so incredibly offensive that even they can’t believe they had people write and edit it. Assuming they even had people edit it. And it’s possible those pieces were written by a pack of angry, screaming Macaque monkeys instead of people. It’s hard to tell. But on the anniversary of Jobs’s death, let’s not talk about the dumb and offensive things people said at the time. Let’s not talk about the dumb and offensive things people are probably saying about it now. Let’s instead remember Google putting a tribute on its homepage and Eric Schmidt telling a terrific story about him. Let’s remember that Microsoft flew its flags at half mast a year ago. In other words, let’s remember the people who, despite their differences and competition with Apple and Jobs, showed some class. Because there’s obviously also value in lauding. Let’s not look back in anger. Not because holding people and publications accountable for what they choose to publish doesn’t have some purpose, but because the exercise is so damned painful. Let’s do it not for them, but for ourselves.